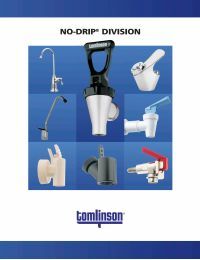 The Tomlinson 1000600 SCM Series Metal No-Drip Replacement Spigot is the industry standard metal dispensing faucet for coffee urns, hot water dispensers, and tea brewers. This commercial hot liquid dispenser faucet has a chromed brass body and bonnet and an integral chromed brass shank. 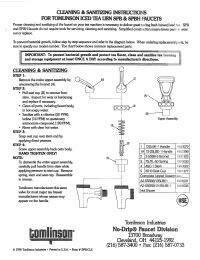 This faucet fits liquid carriers with 7/8"-14 external threaded bushing, and has a 7/8"-14 wing nut and gasket.